Happy Monday! Hope you had a great Mother's Day weekend. Being a mother has been my biggest blessing. It is my most important role, and I am thankful each and everyday to have the humble privilege of raising my two sweet boys. I am also so grateful to be a part of a family with the most loving, kind, caring, supportive, and devoted women... my own beautiful mom and beautiful sisters. They have been there every step of the way! There were so many beautiful things to note in this makeover, including all the Craigslist finds that Pam upcycled and incorporated into the room! Tight on bedroom space?! 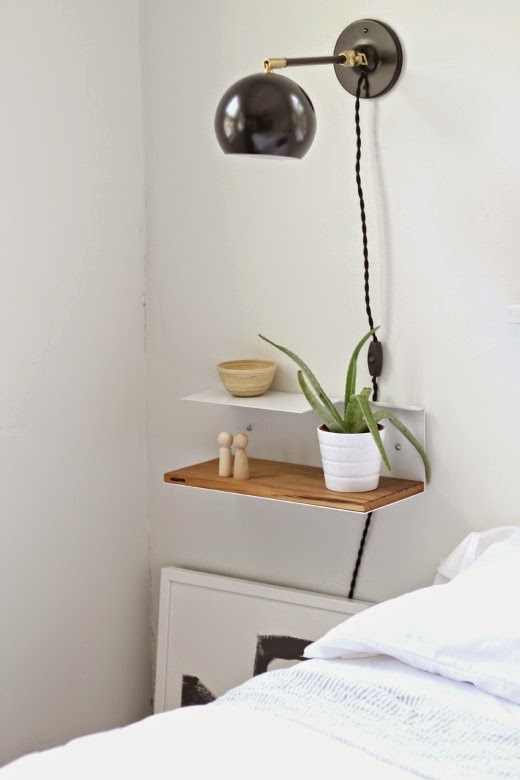 Mount a shelf to create a little bedside table! The minimal look of this room makes it feel so calm and fresh - perfect for a soothing and restful night's sleep! 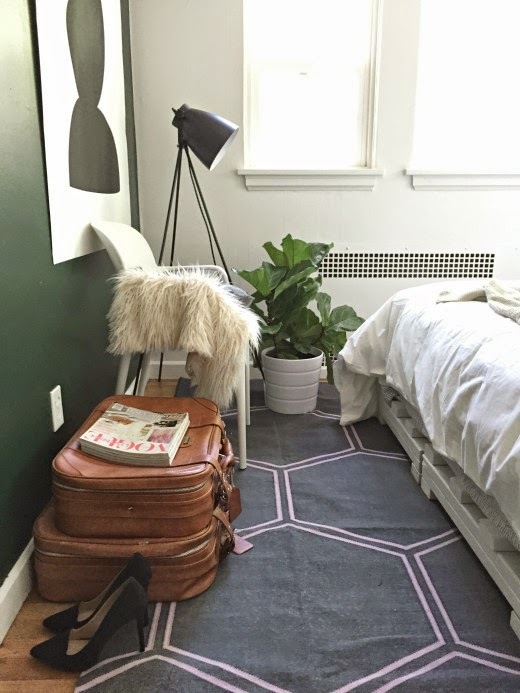 I also love the pallet bed frame that Kirsten's nephew built, the geometric rug, and bold accent wall choice! Go big or go home! 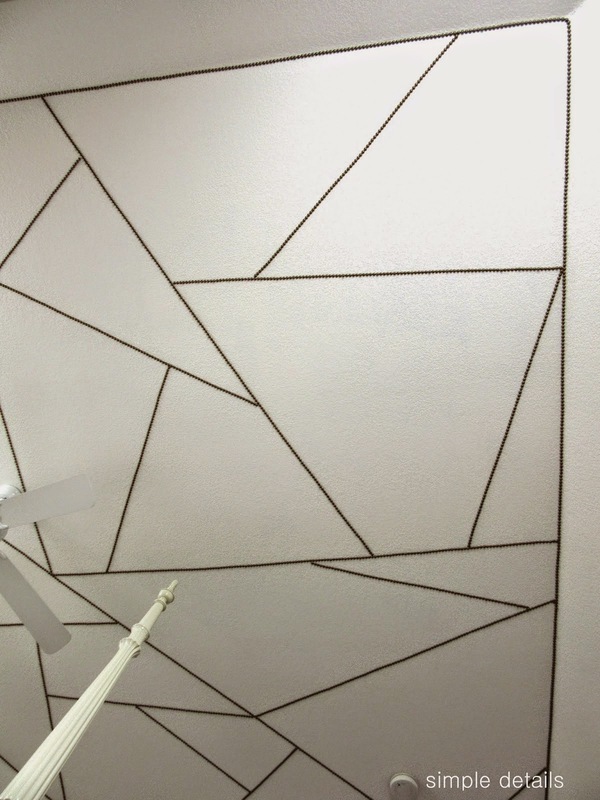 I absolutely love how Kirsten emphasized the vaulted ceilings in her sweet daughter's bedroom. She chose a toddler bed due to the room's smaller square footage, but "anchored" it with the large-scaled whimsical art piece to give it presence. How I wish we had vaulted bedroom ceilings! Art can be found here. 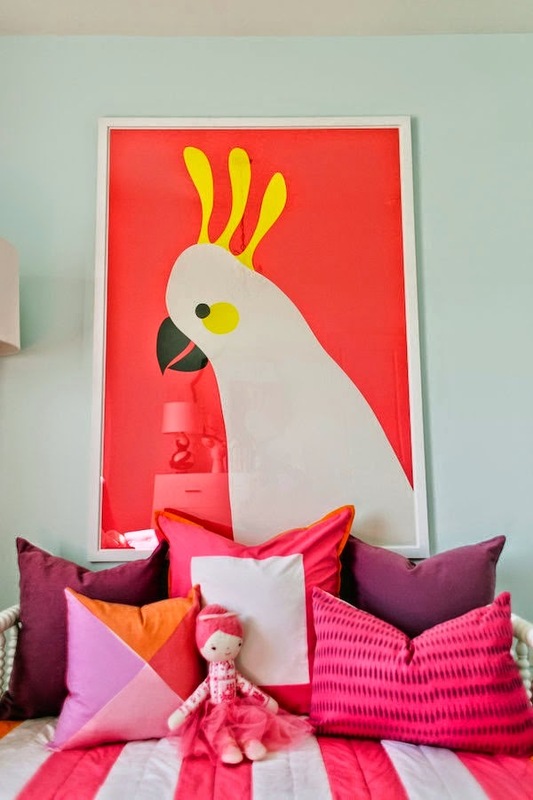 Such a fun color scheme for a little girl's bedroom! 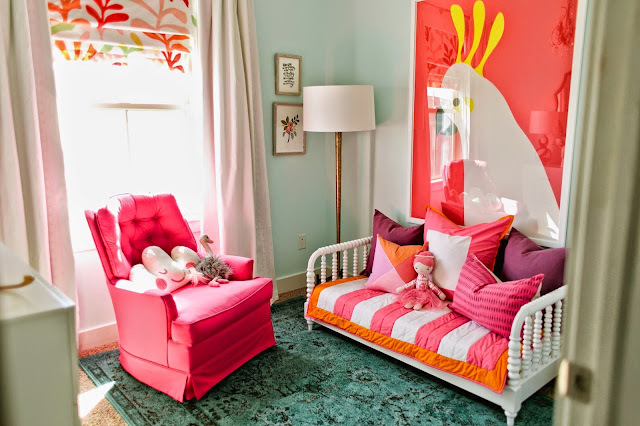 I love injecting kids rooms with color. I hope you found just as much design inspiration as I did in the ORC spring event! You are the sweetest, thank you so much, Carol!! 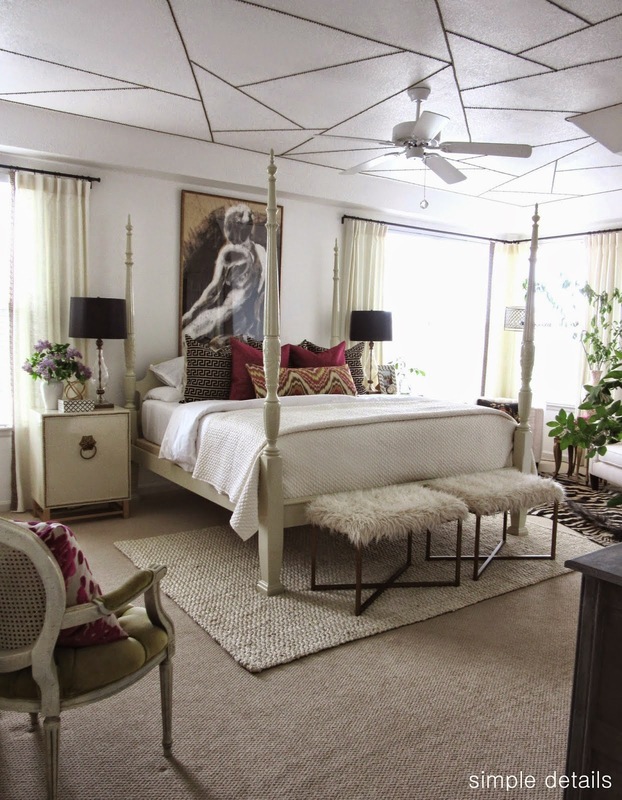 I loved both of the Kirstens' rooms as well, such incredible examples of how to make a small space come to life! Unique and different and super inspirational to me.